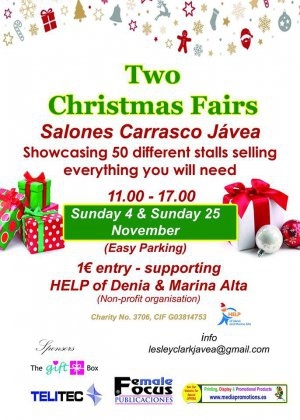 Get all your Christmas shopping in Javea at the two Christmas fairs in Salones Carrasco. There are more than 60 stalls selling everything you need. And your €1 entry goes towards HELP of Denia and Marina Alta.